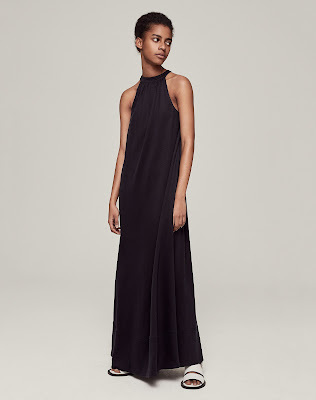 The maxi dresses of summer if you’re looking for an effortless style, they just flatter the body and take you anywhere from drinks in the evening to a summer party or your holiday, just fabulous easy styling. As with everything from Me & Em it’s the simplicity of the styling and the effortless design which makes it so special. One dress that can be worn two ways, this maxi dress is the perfect investment for summer. Our clever double-sided jersey fabric means this dress feels incredibly soft next to your skin while the outer fabric is textured for a very smart finish. The best of both worlds, this is a smart summer office dress, chic enough for evening, yet comfortable enough to see you through a long day. Style with the removable belt to cinch you in at the waist for a more fitted shape, or wear without. An elasticated waist means that either way, you will achieve a super-flattering silhouette. 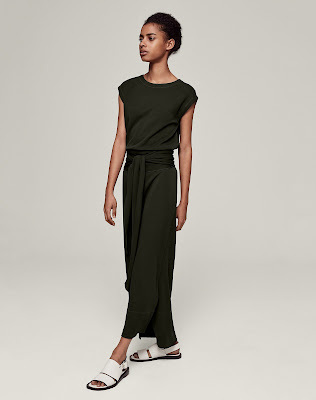 Side slits allow you to move around freely, but stop just below the knee so as not to reveal too much. Style up with heels and a clutch, or down with trainers and denim jacket.